Austin Divorce Attorney | TX 78704| Eric M. Willie, P.C. Eric is very open, honest and heart felt. Eric is very open, honest and heart felt. I have never questioned that he only has my best interest in mind. My matters were all, and are still handled very professionally and rapidly, not to mention courteously. Eric will handle your case individually, just like he did mine with only your best interest and personal needs in mind. We as clients have been treated well!. The firm seems comfortably small and un-intimidating-just what we needed at a critical time in our marriage. We are still in the process of our case, and our goals have already been surpassed. Eric is kind and caring, which combines with knowledge and efficiency to make a professionally comfortable relationship. They give personal attention and a high quality of work. I would highly recommend their firm to any and everyone. We as clients have been treated well! The Law Office of Willie & Dasher has a professional appearance. The Law Office of Willie & Dasher has a formal and professional appearance, with a relaxed atmosphere. Everyone is very friendly, prompt and attentive, including the receptionist. The firm has the experience to address the issues, and suggest alternatives. They also have moved ahead with my case in a timely fashion. They will listen to your issues and give you the possibilities of a positive resolution or not. They also have fair billing practices. We have never lost a case. Mr. Willie has always been professional. "Mr. Willie has always been professional and very easy to talk to. Even after my case was done, I still felt comfortable calling Eric with questions. Eric was the nicest attorney I had ever met." Honest, Trustworthy & Dependable. We won our case. Mr. Willie’s demeanor helped ease the tension and his knowledge helped us to make good choices. Even the secretary went out of her way to drop paperwork off at my home. That’s going beyond the expectations! We Recommend Willie & Dasher All The Time. We recommend Willie & Dasher all the time. We tell all of our family and friends about our wonderful experience with the firm. They are awesome.! Provided great personal attention. My working relationship with the firm was excellent. They had good communication and responded timely to my requests. They were professional, sincere and were sensitive to my concerns. would definitely recommend your law firm. This firm is very professional and keeps focused on the job. This firm is very professional and keeps focused on the job. We did not have very high hopes of winning the case, but Mr. Willie did a wonderful job and did not give up on us. They are very on target, were always there for us and met with us on a regular basis. The Law Office of Willie & Dasher is very professional. The Law Office of Willie & Dasher is very professional but at the same time it feels like entering an old friend’s house. All of our documents were drawn up and presented to us in a timely manner and they were very flexible with our schedule needs. Working with Eric feels like working with a friend. The firm is great, and I would recommend them without hesitation. My decision to hire Mr. Willie as my attorney. Mr. Willie is patient to work with, and makes sure that you aren’t caught by any surprises. You know what to expect one way or another. Eric has nothing to hide, is there for his clients and is doing his best. I saw this firsthand and I’m satisfied with my decision to hire Mr. Willie as my attorney. Eric is reliable and pays attention to detail. We won our case. Mr. Willie’s demeanor helped ease the tension and his knowledge helped us to make good choices. Even the secretary went out of her way to drop paperwork off at my home. That’s going beyond the expectations! Divorce is tough. Of course, you already know that, which is why you are looking for an Austin family law attorney to represent you. You didn’t start your relationship expecting to need a divorce attorney, but here you are. Life in Austin has changed as the result of your divorce, and you need an Austin divorce lawyer to help you with the process. Picking a divorce lawyer is an important decision, since a good attorney can make all the difference in your settlement. Austin family law attorneys have experience dealing with all kinds of Austin divorce cases. Each divorce is different, which is why a good family law attorney is your best bet. If you skip a family law lawyer and attempt to work through this on your own, the results could be ugly. Protect yourself with a good divorce attorney who understands the ins and outs of divorce in Austin. In the middle of a divorce, it may be hard to set aside your feelings. Divorce is a challenging time, and your Austin divorce may be more difficult if kids are involved. Fortunately, an Austin divorce lawyer will be separated from the emotion, so you will have steady family law representation. Even if you are struggling to think about the big picture, your family law attorney Austin will do the job for you. The best divorce attorneys let their clients work through the emotions while the lawyer does all the law firm work. It’s not going to be fun, but a great Austinlawyer is a huge help. While divorce is hard, it is not rare. In fact, it is extremely common for marriages in the United States to end in divorce. Statistics vary, but rest assured that Austin family law attorneys stay busy. Those who practice family law are often booked up with divorce cases, as this is a frequent issue in Austin and the rest of the country. As soon as you decide to seek a divorce, it is smart to contact family law attorneys to get started. Going without family law representation will make it more difficult to secure a fair divorce settlement. You should remember that getting a divorce doesn’t make you a bad person, and this is why divorce lawyers exist. Sometimes, a relationship just doesn’t work out. The best divorce attorneys Austin has to offer serve clients every day who need family law help. You obviously don’t want to see others get a divorce, but there is strength in numbers. Knowing that others are going through the divorce experience, and using family law lawyers, can help you stay positive. Work through this with a family-lawyer and look forward to better times. Even just speaking with your Austin divorce lawyer can go a long way toward easing your concerns. If this is your first divorce, and your first time working with a lawyer, you will be anxious initially. A good family law attorney will put your mind at ease, laying out the steps needed to get through the divorce successfully. Your divorce attorneys might not ease the emotional pain, but they can cause your Austin divorce to be less stressful. When you contact an Austin divorce lawyer, you are sure to have a lot of questions. Does this lawyer have experience? How many Austin divorce cases have they handled? Are divorce lawyers family law attorneys, or is there a difference? Most family law firm offices will be happy to answer your questions. Lawyers in this business want to help people, so good service from your family-lawyer should be expected. As you build a relationship with your attorney, you will quickly feel that you have a valuable partner on your side. Rated Among The Best Family Law Lawyers In The Austin Area. We Are Affordable And Offer Payment Arrangements. In the moment, it is easy to not care much about your divorce. After all, the Austin life you had put together has come apart, and the future may not look that exciting. This is a common problem, and one of the big reasons a divorce lawyer is so valuable. Family law attorneys can help prevent you from making concessions that you will regret later. There is a lot of life to live after divorce, and that life will be better if your attorneys during an Austin divorce help you get favorable terms. There are many things going on in life outside of divorce. Your career, for instance, is important, and an Austin Divorce lawyer can help you protect what you earn. Familylaw is always tough because of the emotion involved, so using Austin family law attorneys is a good way to watch out for your interests. Once the emotion of the divorce wears off, you’ll be glad your family law firm didn’t give away any more than what was necessary. Getting a divorce does not mean you no longer have feelings for your former partner. Many who wind up in divorce proceedings simply ‘grow apart’ over time, with neither person at fault. If there is no acrimony in your divorce, a family law lawyer may be able to help you reach a quick settlement. With the help of a family-lawyer, you can watch out for your interests without trying to do any harm to the other party. A good law firm will learn about your situation and make sure your Austin divorce is handled appropriately. You have a lot at stake when you go through a divorce. Using an experienced law firm will help you get your fair share in the end. A good attorney is going to know what is fair in a divorce settlement, so your Austin lifestyle doesn’t have to change dramatically. If you fail to find a good divorce attorney Austin, it’s going to be tough to come out of your divorce in good standing. Divorce can be particularly difficult to settle when only one person in the relationship was earning an income. A divorce lawyer is going to work on finding a fair rate of spousal support, which is one of the key duties of any family law attorney. The rate of payment should be enough to support the other party, but not so much that it is unsustainable for the one earning an income. You want your lawyers to have your best interests in mind during these proceedings, which will be the case with a great divorcelawyerAustin. Unless you are a lawyer yourself, getting help from divorce attorneys Austin is an easy choice. While you may be an expert in your line of work, you don’t have the divorce knowledge offered by a family law lawyer. Working with the right family law firm will enable you to access experience and knowledge that is essential during an Austin divorce. It may be common to get a divorce, but that doesn’t mean the legal process is easy. Austin family law attorneys are so important because they walk clients through all of the needed steps. Find the right attorney and your divorce will suddenly be less intimidating. 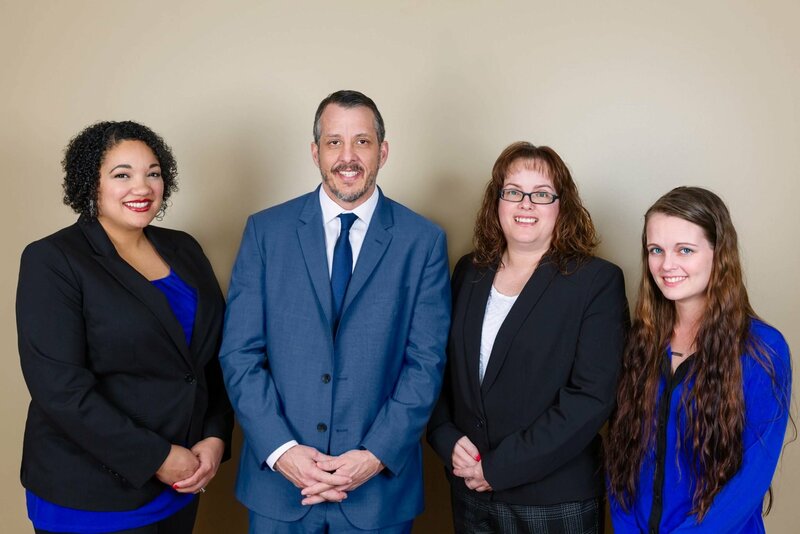 One way to understand the importance of family law attorneys is to think about what can happen without the right Austin family law attorneys on your side. If you go into a divorce proceeding unprepared, without a family law team helping you, the results could be costly. You may pay more than you should, or you may receive less than you should in the divorce. Take some time to pick the right Austinlawyer and you will be glad you did. Going through a divorce is hard enough. If that divorce also involves children, it is even more difficult. This is where a family-lawyer becomes even more important. Divorce lawyers are accustomed to having to work on settlements that include things like child support, custody arrangements, and more. A good family law lawyer will work with you do understand your needs and expectations. It should go without saying that you and your former partner may not agree on child-related issues, which is where your Austin family law attorneys will come into play. It is important to shield children from as much of the emotional side of divorce as possible. 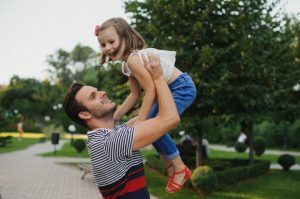 In addition to getting great representation from your divorce attorney Austin, you may also learn about how to deal with kids during a divorce. After all, a family law attorney Austin is going to have gone through this many times before. An Austin family law attorney may just be your best asset as you work through this from start to finish. No matter your reasons for getting a divorce, it is certain that you and your ex want a great outcome for the children. Speak with a divorce attorney in Austin about your case and learn what family law attorneys can do to improve your future. A good lawfirm in the field of familylaw is going to know everything there is to know about divorce and the important elements of family-law. Whether it is related to your children or any other part of the divorce, having experienced divorce lawyers on your is a big help. Divorce is a process. Unless you quickly reach a settlement, which is unlikely without the help of a family law firm, you’ll need to follow the legal steps in the court system. Do you know how those steps work for divorce in Austin? Probably not. Fortunately, an experienced Austindivorceattorney will. With a divorce attorney Austin working for you, all of the necessary knowledge will be on your side. That doesn’t guarantee a great outcome, of course, but good family law attorneys will improve your chances. Unfortunately, a divorce proceeding in Austin can take some time to complete. Even when using a family lawyer, you may not have a resolution as soon as you would like. Again here, we see why family law attorneys are important. It would be easy to lose your patience without a family-lawyer helping you, reminding you that it’s worth it to see this through to the end. Agreeing to an unfavorable divorce settlement just to get this over with is a common mistake. A good divorce attorney will make sure that doesn’t happen. If you do reach a settlement, it should be one that is fair to both parties in the divorce. You are sure to have a lot of divorce questions for your family law attorney when first getting started. Instead of finding divorce information from random online sources, get reliable info straight from some of the many divorce attorneys Austin has to offer. Speaking with an Austindivorcelawyer is going to give you some confidence right away, taking some of the fear out of the process. This is never going to be fun, but a good family law attorney should make it less intimidating. The experience of family law lawyers cannot be stressed enough when it comes to following the divorce process. As an individual, you simply aren’t prepared for everything that needs to be done to complete a divorce the right way. You can assume your ex partner is going to retain an attorney, and you should have attorneys on your side as well. It’s smart for anyone going through a divorce to have a family law attorney, but it is even more important when your divorce is particularly ugly. If there are a lot of hard feelings to go around, neither side is going to be willing to concede an inch. Finding a tough Austin family law attorney who is willing to dig in and battle for you should be a top priority. You will know if you are in for a battle, and entering that battle without a strong family law firm behind you could be a big mistake. While you were married, you got used to thinking of life in terms of a partnership. Now that you are getting divorced, that frame of reference is going to change. 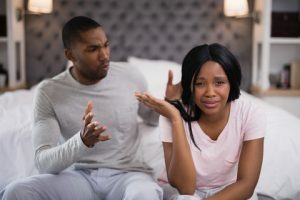 You and your divorce attorneys Austin need to look out for yourself first and foremost – and your kids, of course, if you have any from this relationship. Developing a plan and a path for your future all starts during the divorce process. Whether you are going to stay in Austin or move on, a great divorce attorney is the right place to start. You should remember that your divorce path is going to be unique, because your life is unique. While good family law representation will know how the process works, everything will have to be tailored to meet your needs. Without that custom approach, you may not get the divorce attorney experience you desire. Make sure that your story is clear, your needs are the top priority, and you have a voice in your case. In the end, handling the divorce process successfully is a team effort. The Austin family law attorney is essential, of course, but so too is your input. It if your life, and you should have a say in the direction that it takes. Whether you want your divorce lawyers to fight for every penny, or you want to make sure your ex is taken care of sufficiently, make your feelings known to your attorneys. In a perfect world, there wouldn’t be a need for divorce attorneys in Austin. This isn’t a perfect world, however, and things do go wrong sometimes. 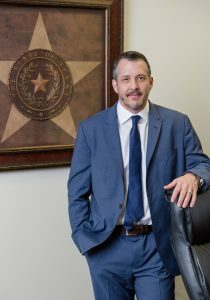 When a relationship sours and divorce is the only outcome, finding an experienced attorney working on Austin divorce cases should be one of your top priorities. Divorce lawyers and family law attorneys stay busy because domestic issues are so common, both in Austin and around the rest of the country. Even if you have never contacted a law firm before, finding the right lawyer is a job that needs to be done when divorce is at hand. We hope you are able to make it through the divorce process with a satisfactory outcome. You aren’t likely to enjoy this process, but hopefully you’ll work with a family-lawyer who makes it easier to handle. Family law attorneys are trained for exactly this kind of task, and there are many trustworthy Austin divorce attorneys available. With the divorce in the rear-view mirror, you can look forward to better days ahead. Contact a family law attorney Austin to get started right away, and work toward a resolution sooner rather than later. "Don’t waste your time going anywhere else"